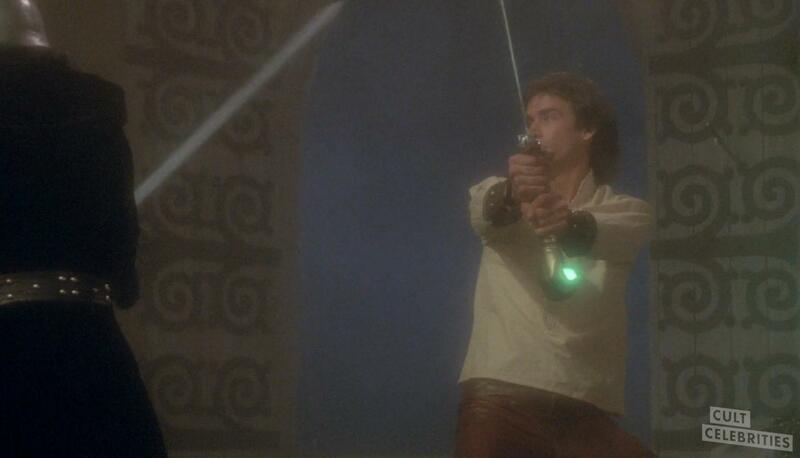 The 1980 film Hawk the Slayer is a sword-and-sorcery movie. 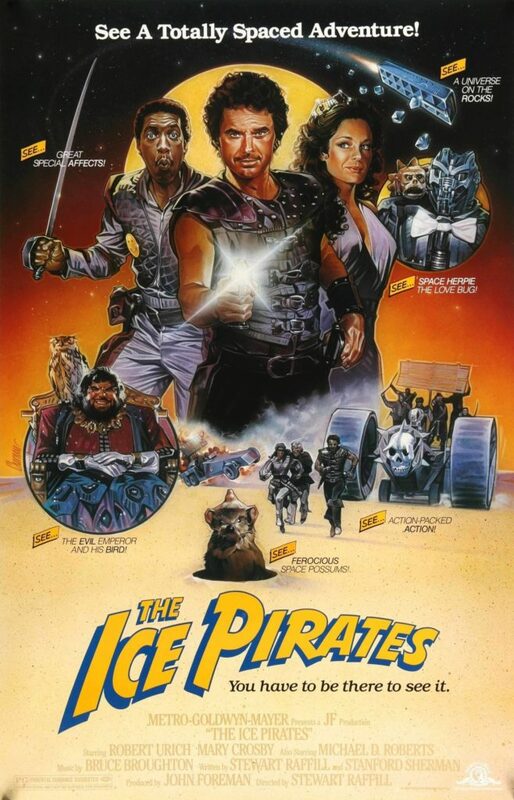 The movie was filmed in the UK and directed by Terry Marcel. 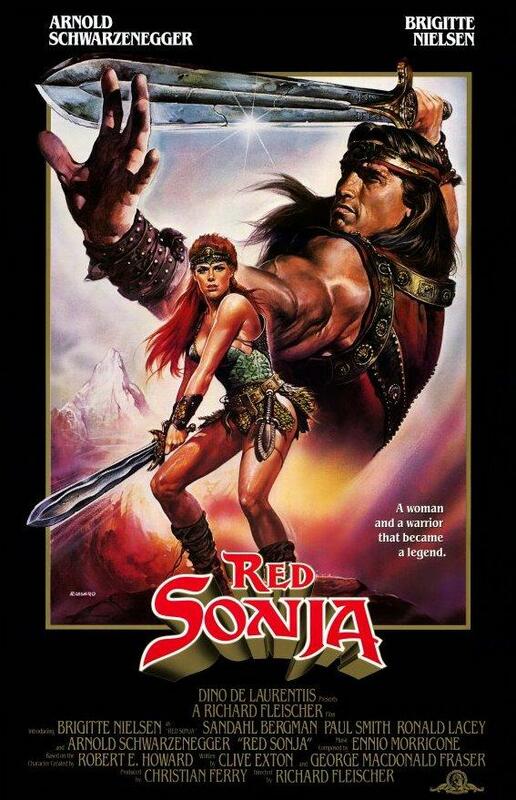 As one of the first films in the genre, it has since become a cult classic and influenced many later S&S films. 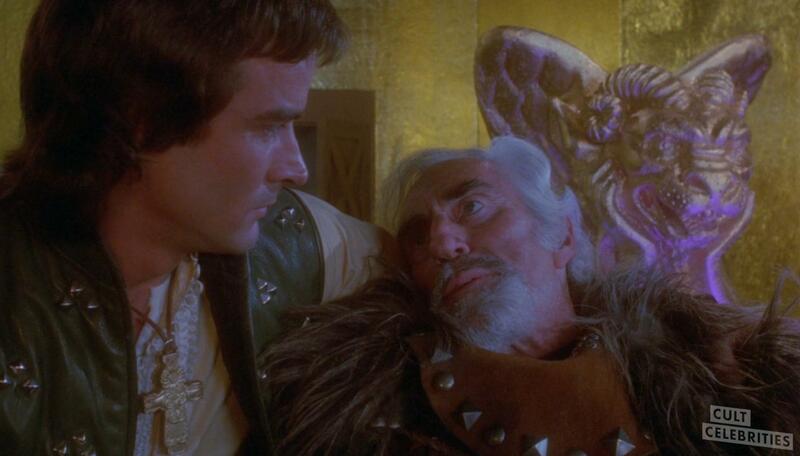 In pursuit of a magical mindstone, Voltan (played by Jack Palance) kills his father. 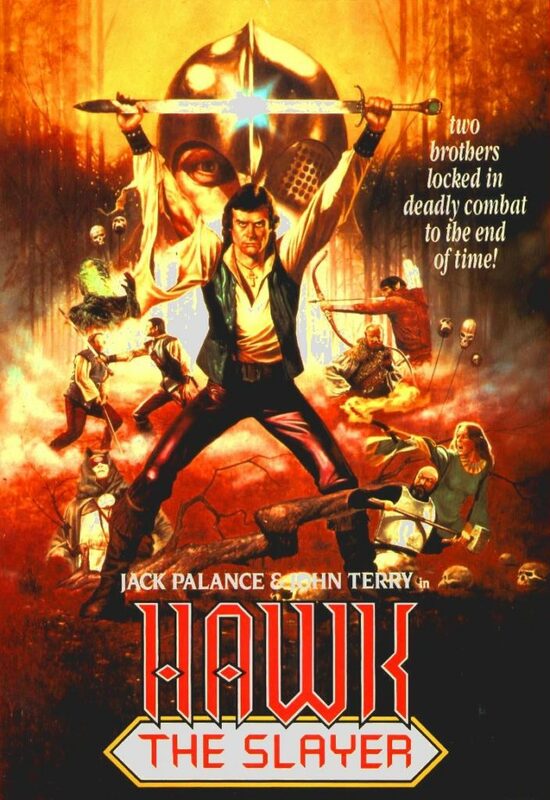 However, before the father dies, he gives his other son, Hawk (played by John Terry) a large sword with a hilt shaped like a hand which is grasping the mindstone. 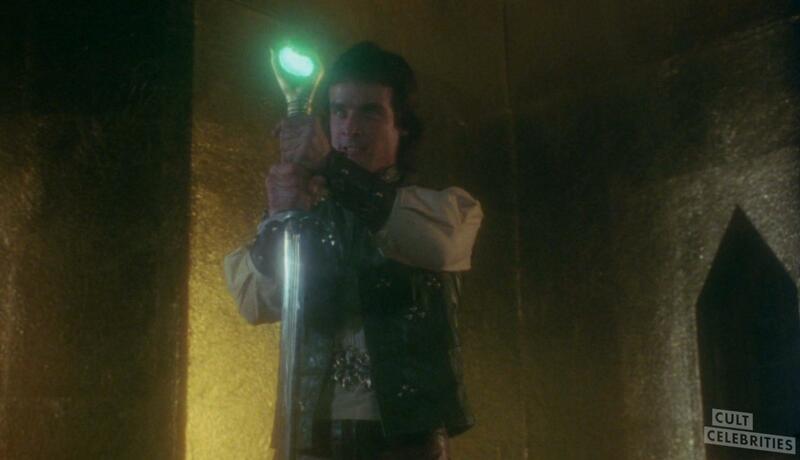 With this sword, which obeys Hawk’s telekinetic commands, he vows to take vengeance on his father by killing Voltan. 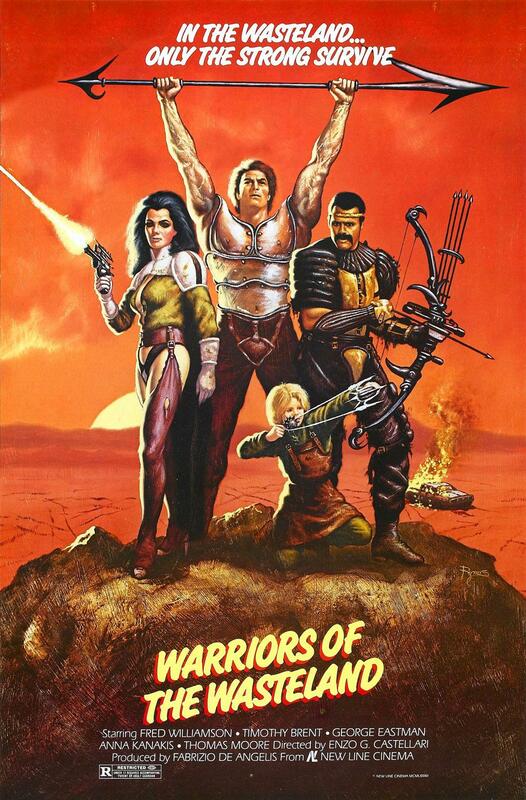 Voltan wreaks havoc on the country, attacking villages and women and children. 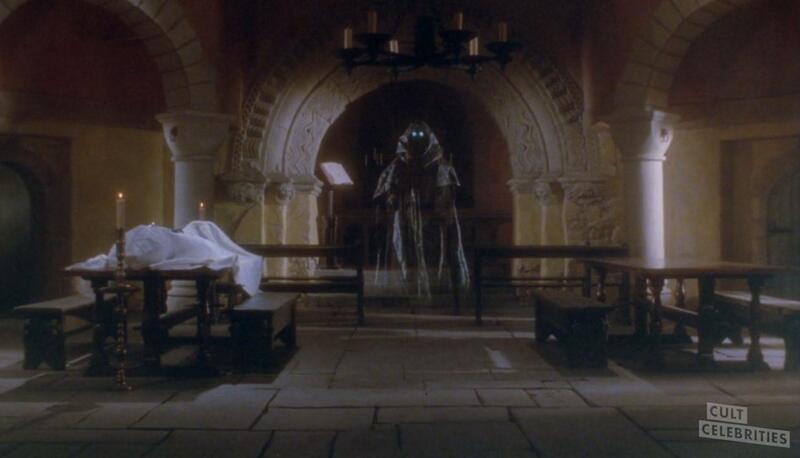 A man named Ranulf comes to a convent seeking medical care, telling them how Voltan has been destroying the realm. 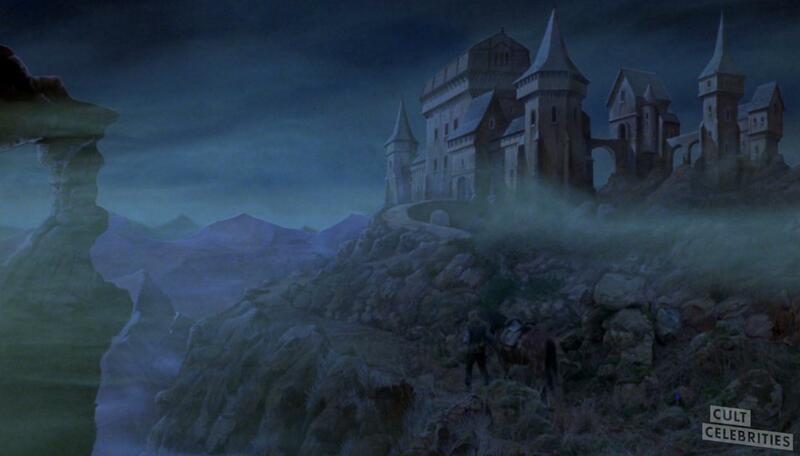 Voltan attacks the convent and kidnaps the Abbess (played by Annette Crosbie) and asks for a large ransom. Hawk saves a sorceress (played by Patricia Quinn) from a hanging, since she was accused of witchcraft. 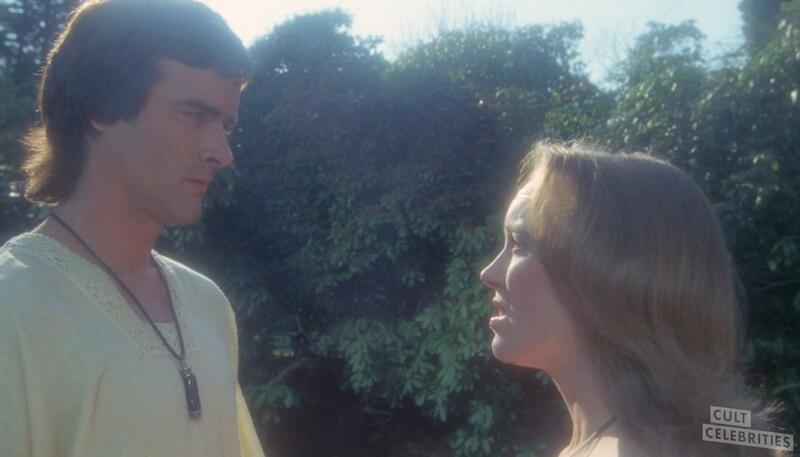 She then tells him of Ranulf, who has been captured by thieves. 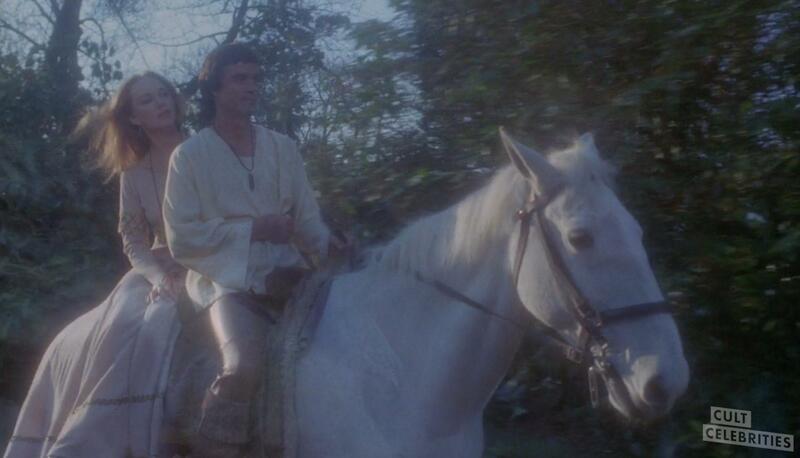 Hawk attacks them and saves Ranulf, who tells him about the Abbess. Hawk gathers a collection of companions. 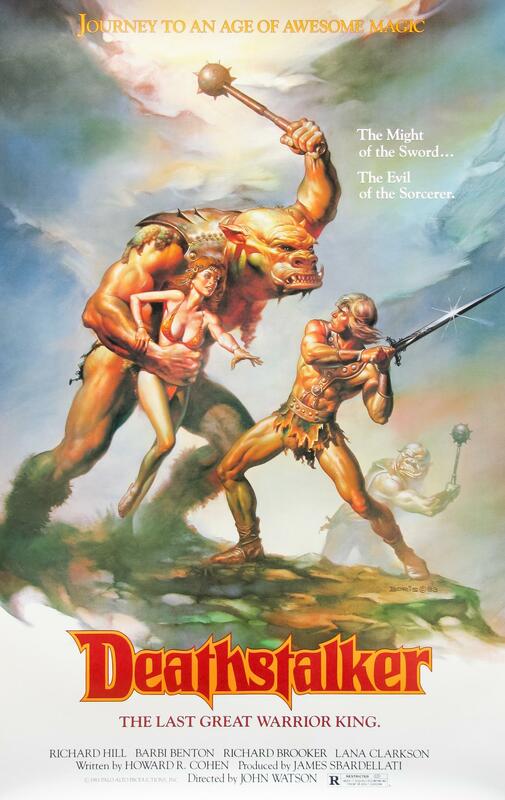 First is Gort, a giant with a hammer (played by Bernard Bresslaw). 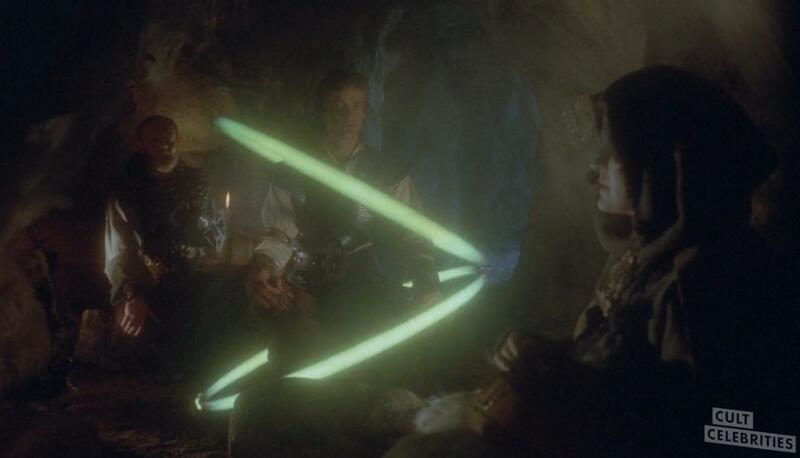 Then is Crow, an elf with a bow (played by Ray Charleson). 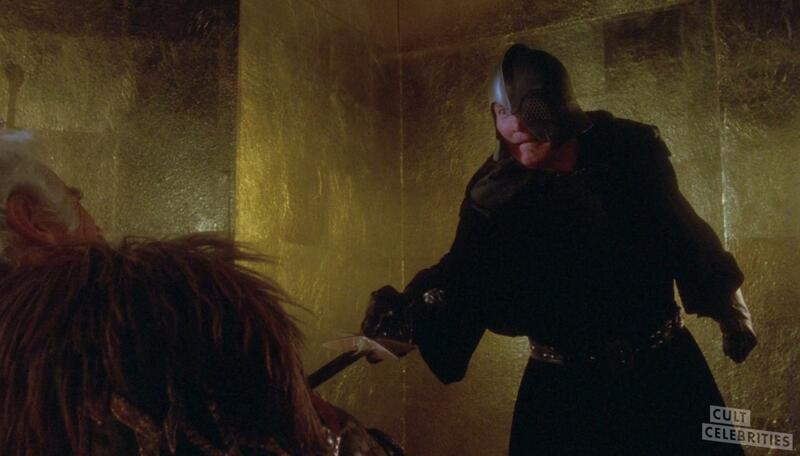 Then is Baldin (played by Peter O’Farrell) who is a dwarf with a whip. 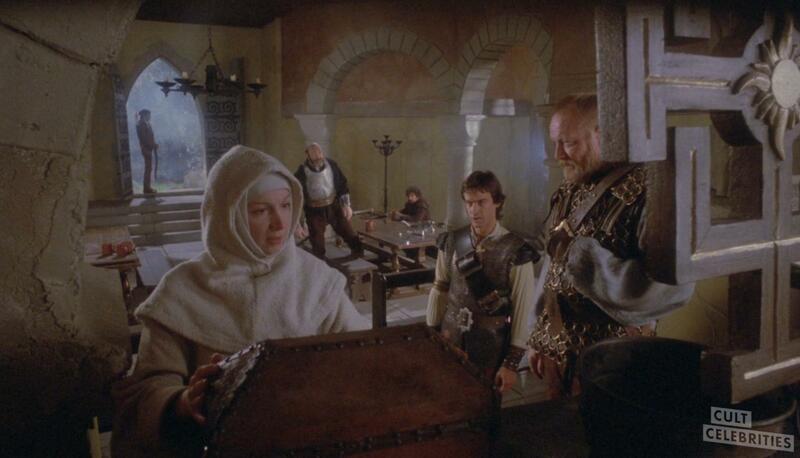 They arrive at a convent, steal some gold from a slaver, and try to pay the ransom for the Abbess. However Voltan deceives them as expected and does not release the Abbess. 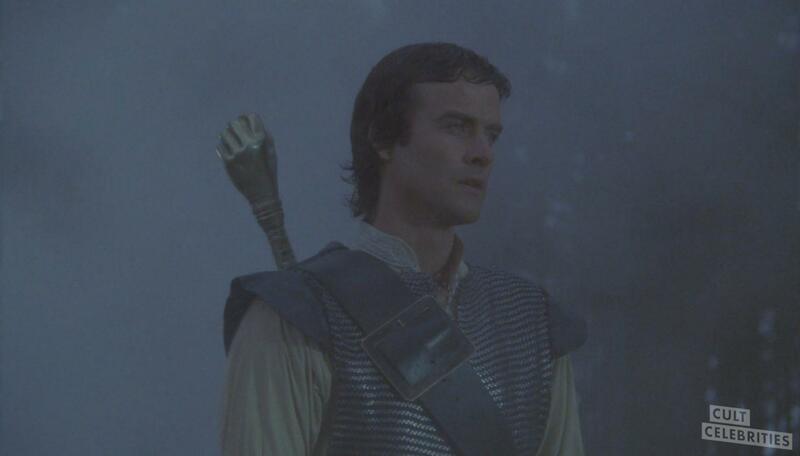 In a huge final battle, they fight with Voltan and his men at the convent, killing Voltan’s son Drogo (played by Shane Briant) and finally Voltan himself. 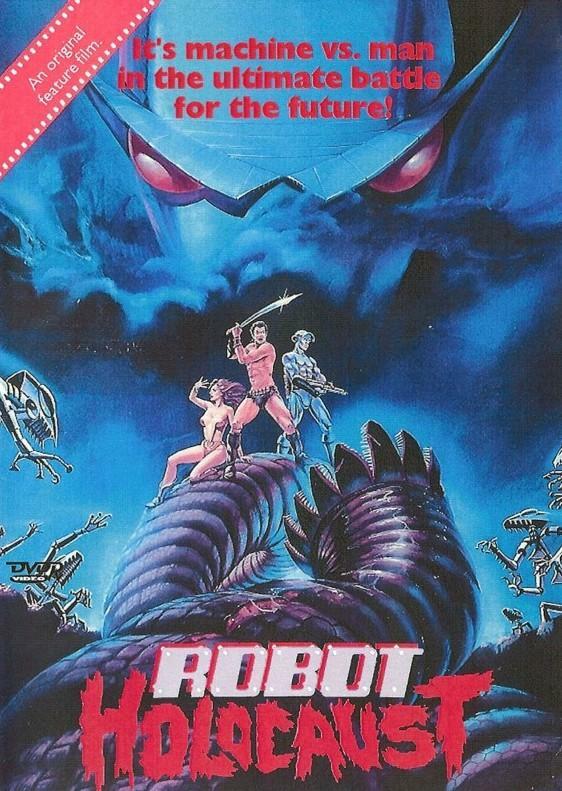 However, a dark spirit resurrects Voltan to continue his evil on earth.